MAKE SURE YOU CATCH THAT WORKOUT YOU MISSED EARLIER IN THE WEEK OR MAYBE TACKLE AN ALTOGETHER NEW ONE. 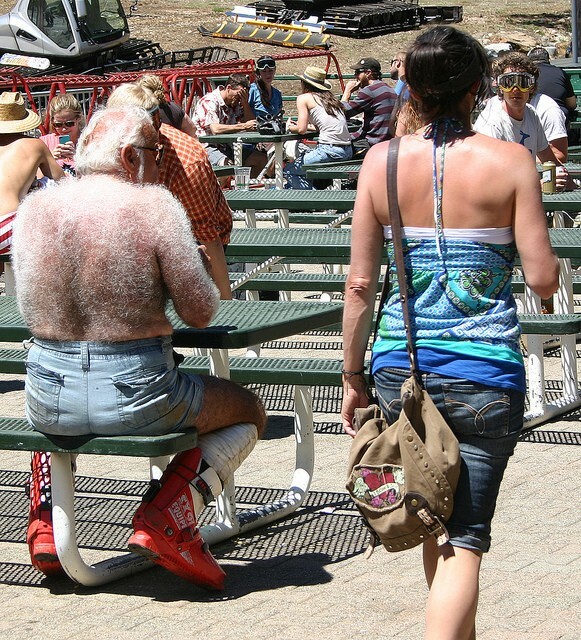 Scary in two ways: one, what google turns up when you search “silverback”, two, why is he wearing ski boots? Caught up on Wed. Deadlift and Double Unders today. I surprised the crap out my self and got a 4:28 thanks to a first and last unbroken sets. And believe me as I look around the room, my DU’s aren’t the only ones getting better. Keep it up Silverbacks.